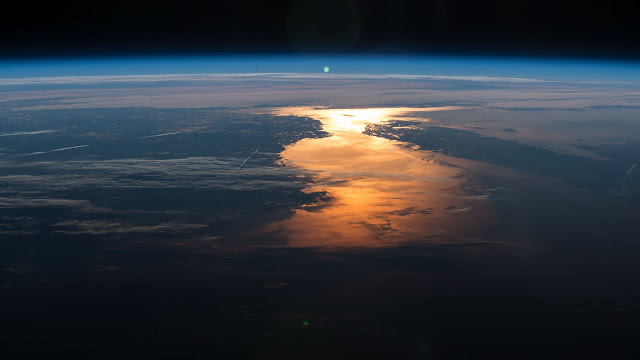 The International Space Station orbited over New England and across Canada capturing the Sun's glint on the North Atlantic Ocean just off the North American coast. That gleam is caused by sunglint, an optical phenomenon that occurs when sunlight reflects off the surface of water at the same angle that one views it. The result is a mirror-like specular reflection of sunlight off the water and back at the astronaut and their camera.